They won 4-0 in the United Arab Emirates in a game in which they proved to be in better physical shape and in the first half they achieved a reassuring advantage. The Qatar team has written a script during this Asian Cup that if it were a work of fiction would be little credible. La host of the 2022 World Cup, which lives under a fierce diplomatic blockade by its neighbors, has reached its first continental final after passing like a steamroller over the selection of the Arab Emirates in their home (0-4) . His opponent in the final will be Japan, which has won more Asian titles: four. The team led by Spanish Felix Sanchez did it in a very hostile environment in the Mohamed Bin Zayed stadium full of local fans, as the blockade imposed by the allies of Saudi Arabia prevents the Qataris from traveling to the neighboring country. He took the reins of the game from the beginning and caused such frustration to the Emirati fans that his players happened to be greeted with a real rain of shoes and sandals every time they approached the band to receive instructions or throw a corner. The selection Qatari won a game in which he proved to be in better physical shape than his rival and already in the first half, with the 0-2, he achieved a reassuring advantage for the rest of the game. The first goal came thanks to a shot from outside the area of Boualem Khoukhi, in the 22nd minute, which the Khalid goalkeeper Essa Bilal Saeed measured badly and the ball went under the arms. The 0-2 arrived also with a distant shot, this time of Ali Almoez, top scorer of the tournament with eight goals. 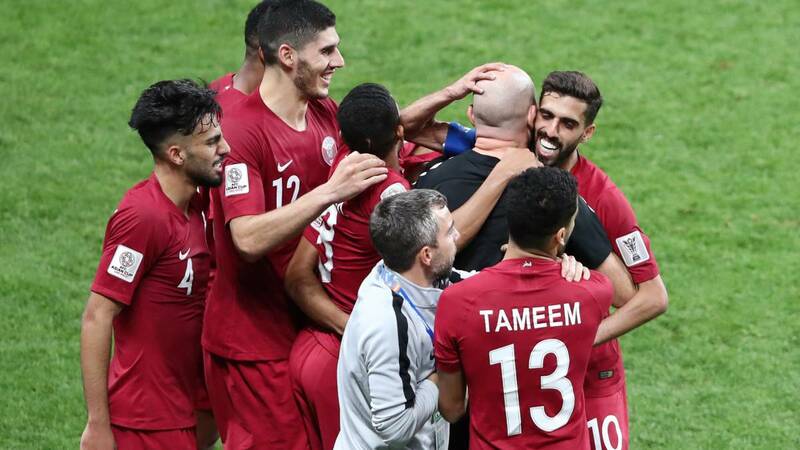 The hostess tried to react in the second half taking control of the ball, but failed to transform their chances into goals and ended up allowing Qatar to sentence the contra, with their captain, Hasan Al Haydos, who took advantage of a defense oversight in the minute 80. With everything decided and already in the discount, the frustration of the stands ended in the field, when the Ahmirati Ahmed was ejected by a nudge to a rival in the 91 '. In the sequence, Ismaeil scored the final 0-4 with which the match ended.